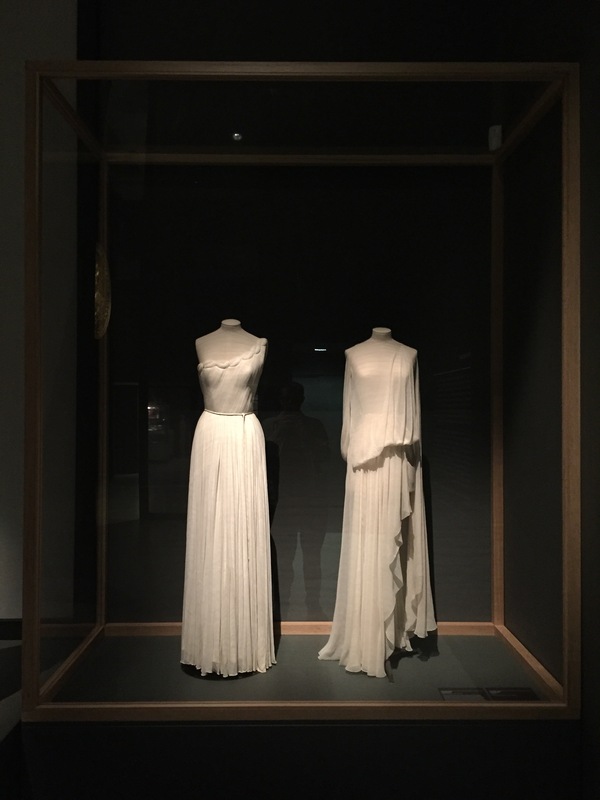 The Vulgar, a new exhibition at the Barbican, is the most exquisite original fashion show in London for as far back as I can remember. 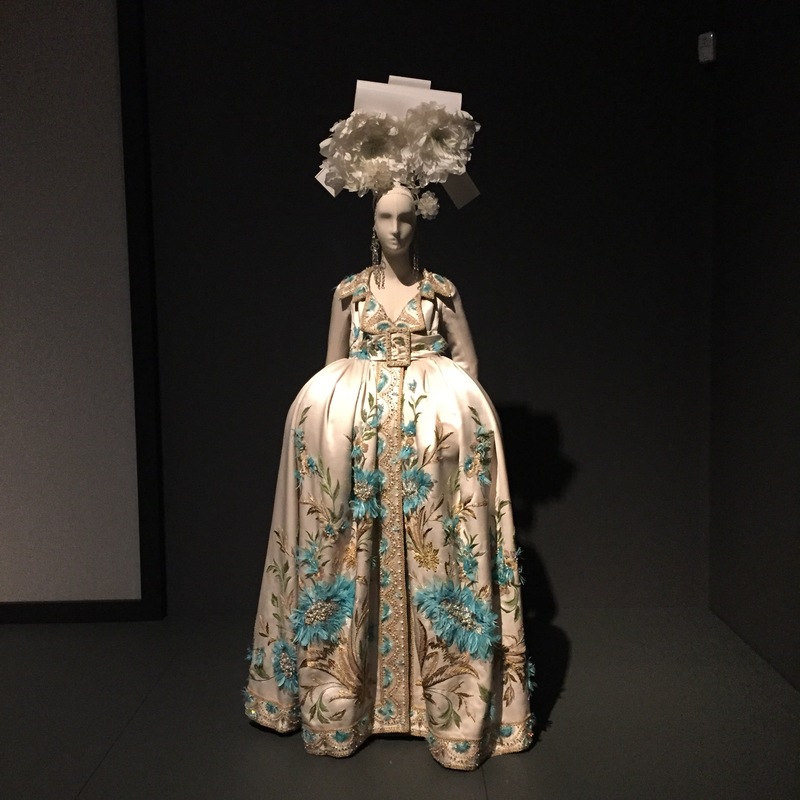 I’m discounting Savage Beauty at the V&A, since that was first shown at the Met in NY. 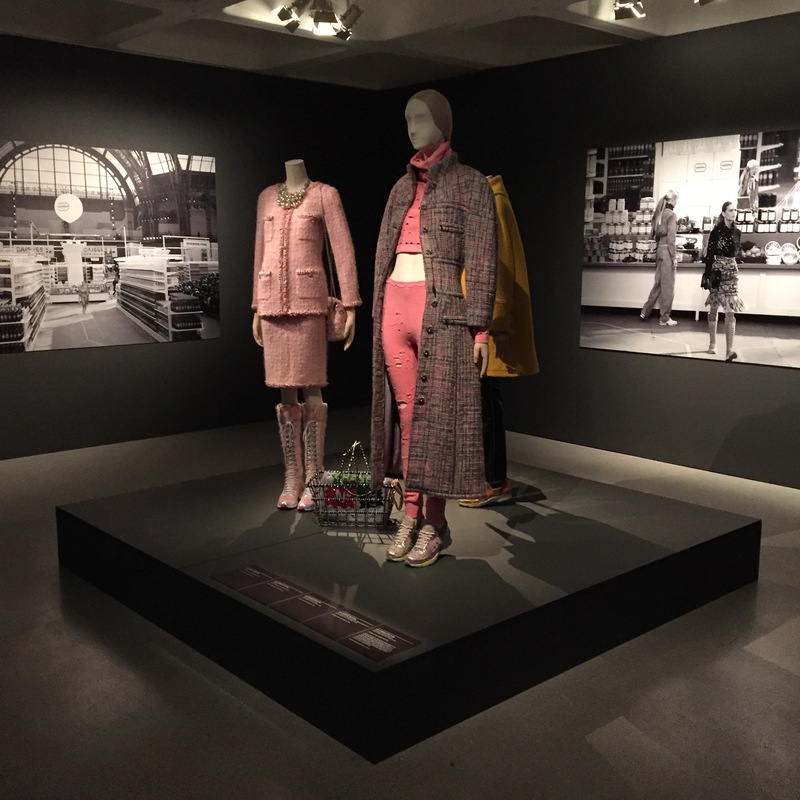 The quality of garments, the elegance of their poise, the sympathy of the display with the Barbican building itself: all remarkable. The curator is Judith Clark. 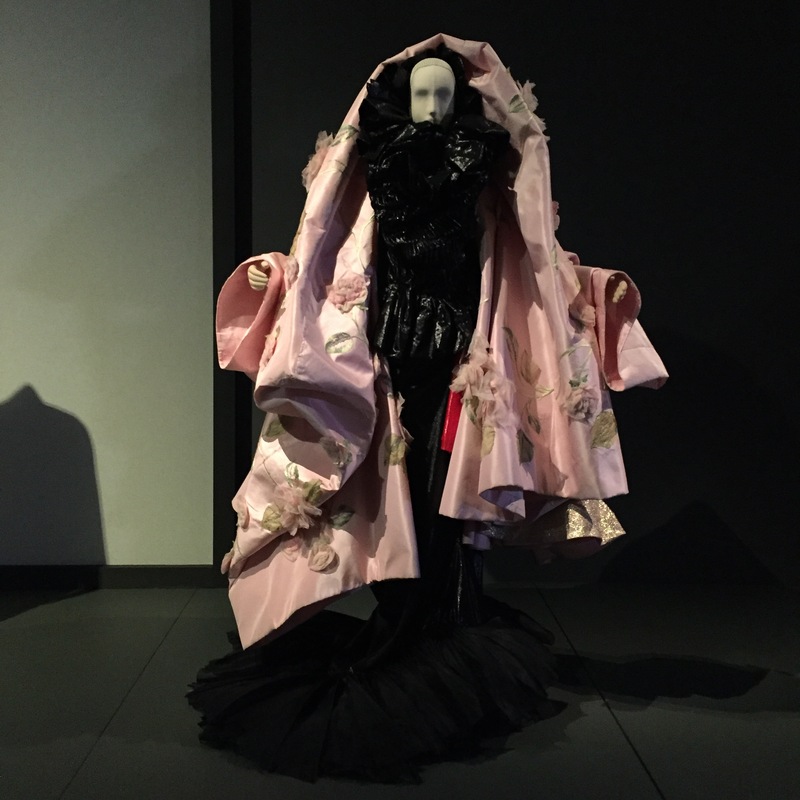 Her selection of garments responds to eleven separate wall texts on different notions of The Vulgar by her partner, the psychoanalyst Adam Phillips. From the off, The Vulgar assumes intelligence on the part of the viewer. 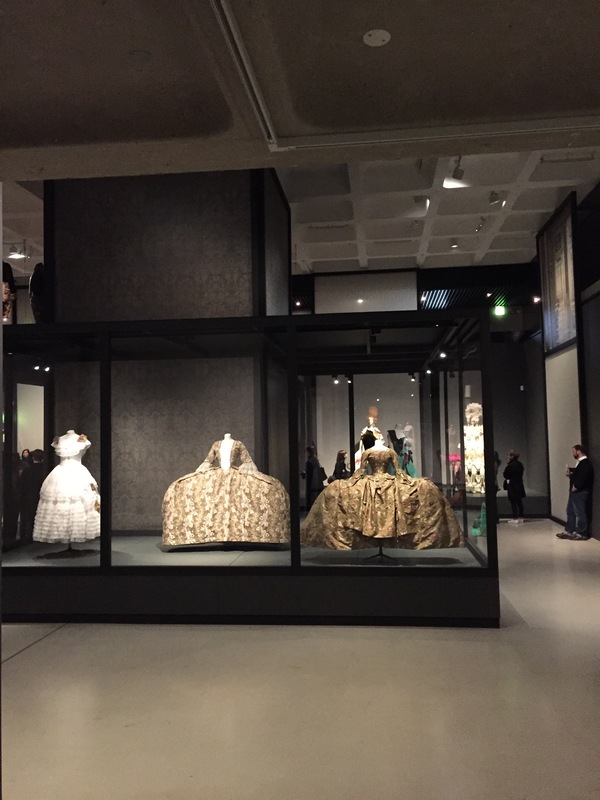 If only if all fashion exhibitions were so. The tone is demure and the opposite of assumed vulgarity: grey walls, generosity of space, no clutter. The exhibition is also profoundly infuriating, as I suspect it is supposed to be. Phillips discusses taste, class and what is common. 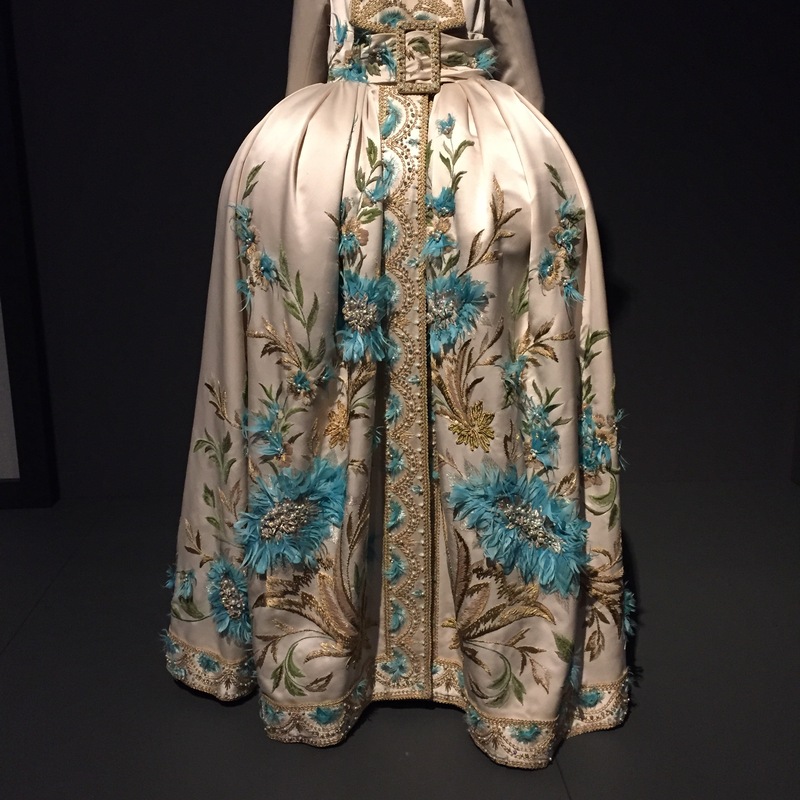 The garments that follow are all those of luxury, whether historical garments for the upper classes of unknown designer, or pieces made by 20th and 21st century high fashion designers. How dare you talk about what is common, when all around is overt display of wealth? I was in show for over two hours, and it was only 90 odd minutes in that I saw its subversion. On the left is a fragment of a chasuble from 1480-1500. 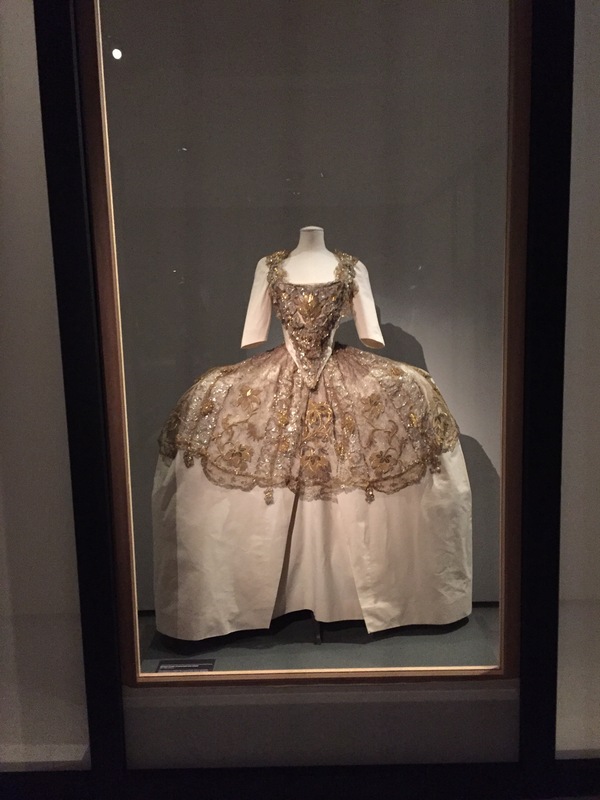 A time of sumptuary laws, when the use of cloth was regulated by class and position. 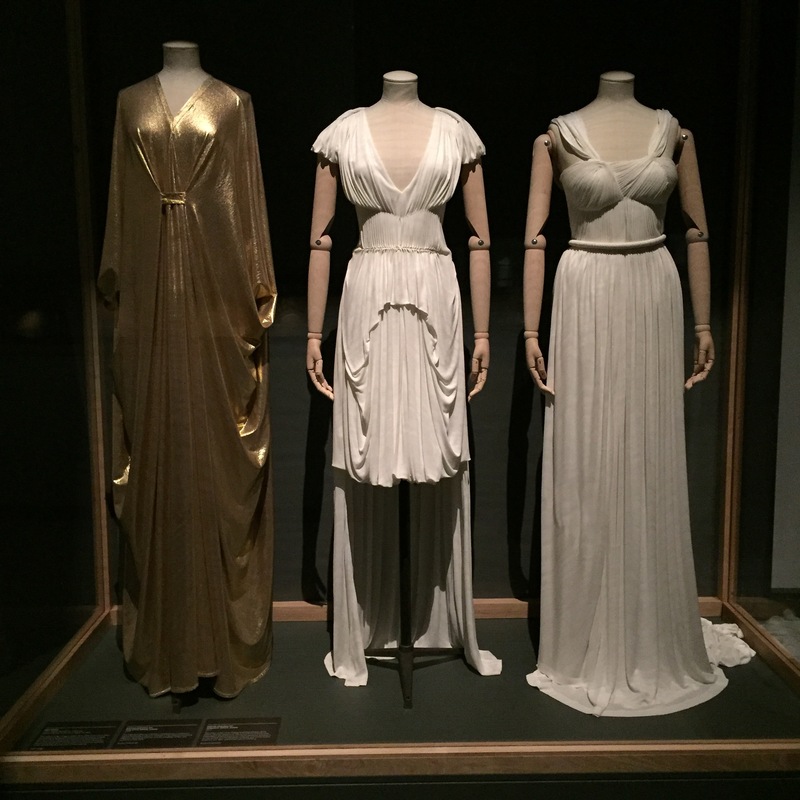 On the right is a gold thread gown by Elsa Schiaparelli from 1937. 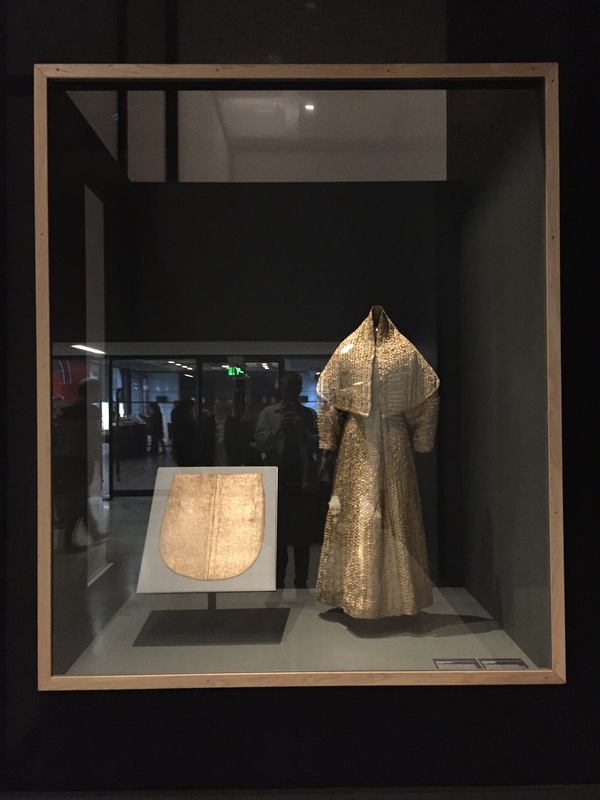 Starting from sumptuary laws casts meaning on the whole exhibition: fashion of luxury is inherently vulgar. First section discusses classicism, and the vulgarity of taking from another age. 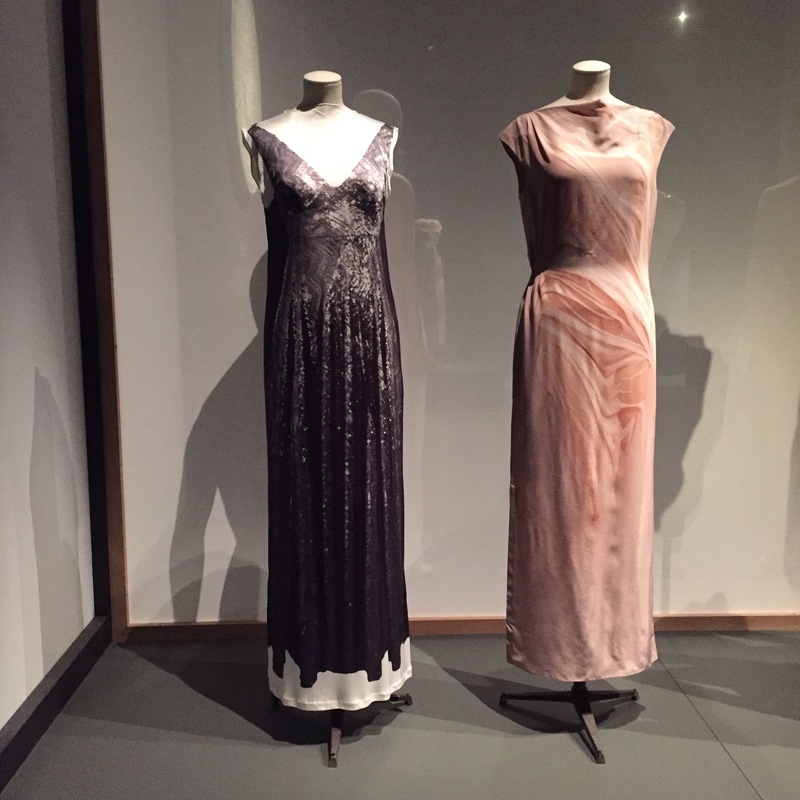 Dresses I’ve never seen before by Karl Lagerfeld for Chloé, from 1984. It’s great to see designers such as Pam Hogg and Sophia Kokosalaki in the show. Hogg is on the left, then two Kokosalaki. It’s remarkable how much the exhibition shies away from ideas of sexualised vulgarity. A rare case is a section on Adam and Eve, titled The Fortunate Fall. Vivienne Westwood and Walter van Beirendonck. Some of the wall texts are exasperating. 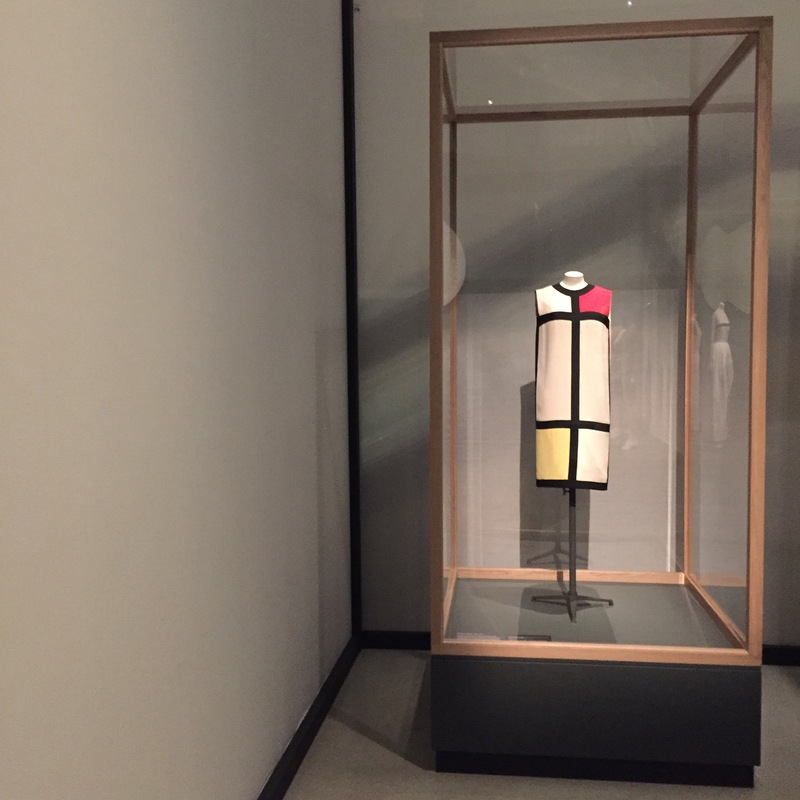 The Mondrian dress by Yves Saint Laurent. Maision Martin Margiela x H&M, next to Maison Margiela by John Galliano. The middle hall is glorious. It’s this section that really hammers home the exquisite vulgarity of wealth and it’s display. 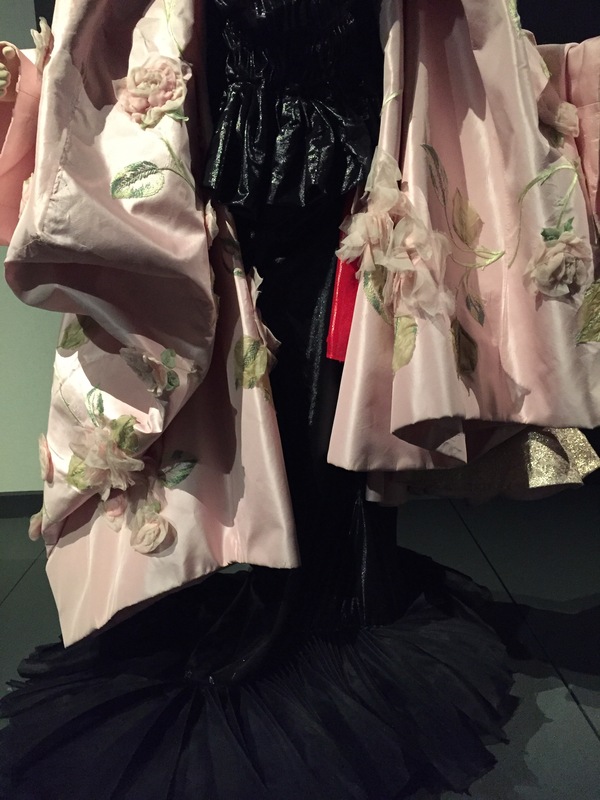 An outfit by John Galliano for Christian Dior from spring 03. It is from one of the most extraordinary shows I have ever seen. I can still remember that squared point of its drape. I could look at the thing for hours. See that flash of red? 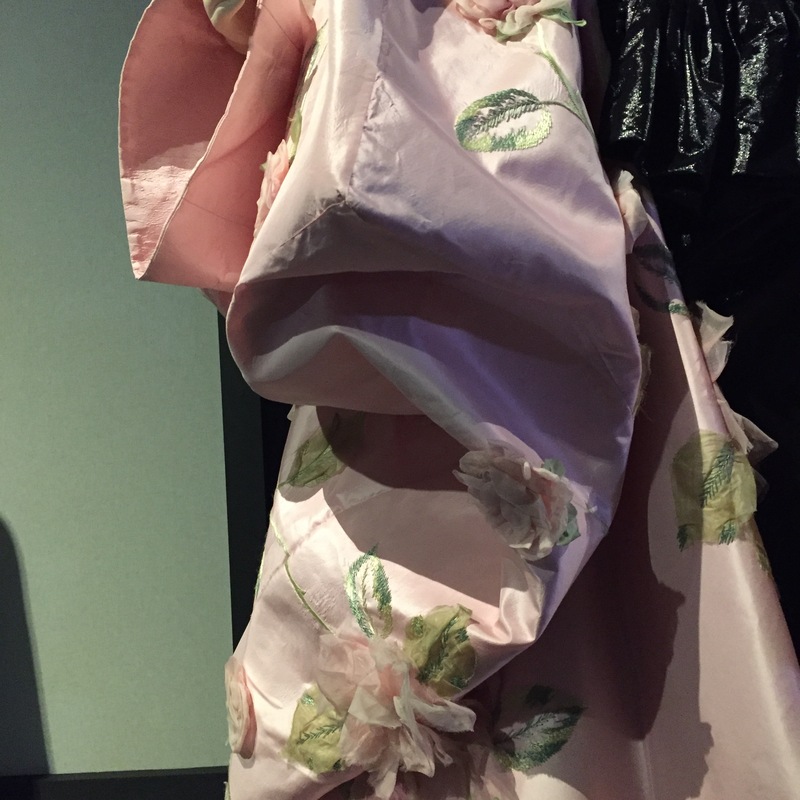 Across the way is another Galliano for Dior, this from Spring 2005. By this point on first viewing, the show was driving my crazy. Such presumptions of fashion being about wealth. But then seen as a subversion, it is saying that the garments of the wealthy are vulgar. As seen in the vulgarity of present day consumption, via Chanel’s supermarket show. Upstairs is a rare moment in the show of non-catwalk subversion. An ensemble by Malcolm McLaren and Vivienne Westwood. 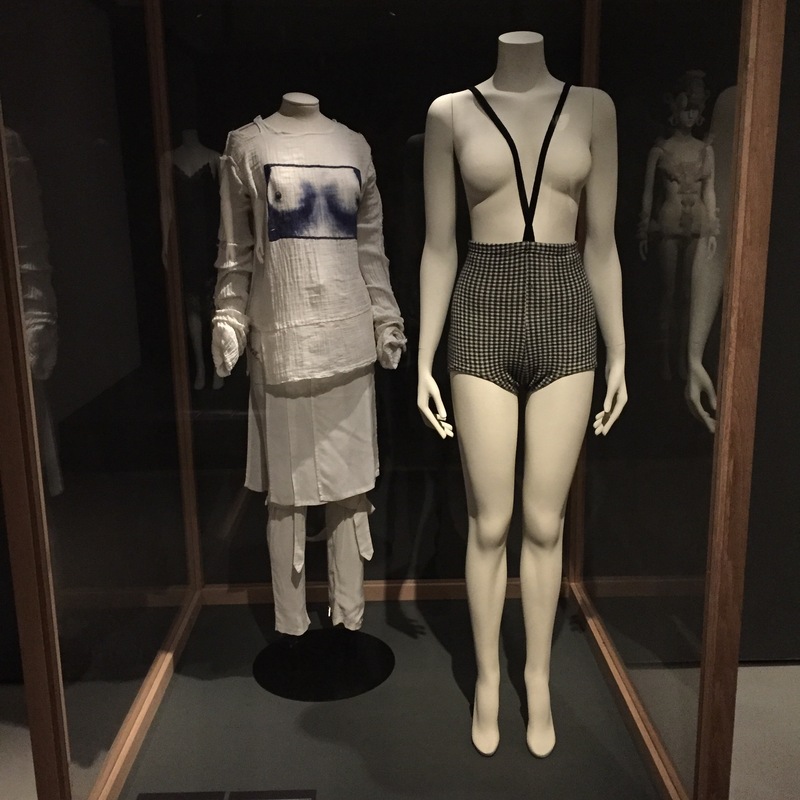 It’s next to a Rudi Gernreich. 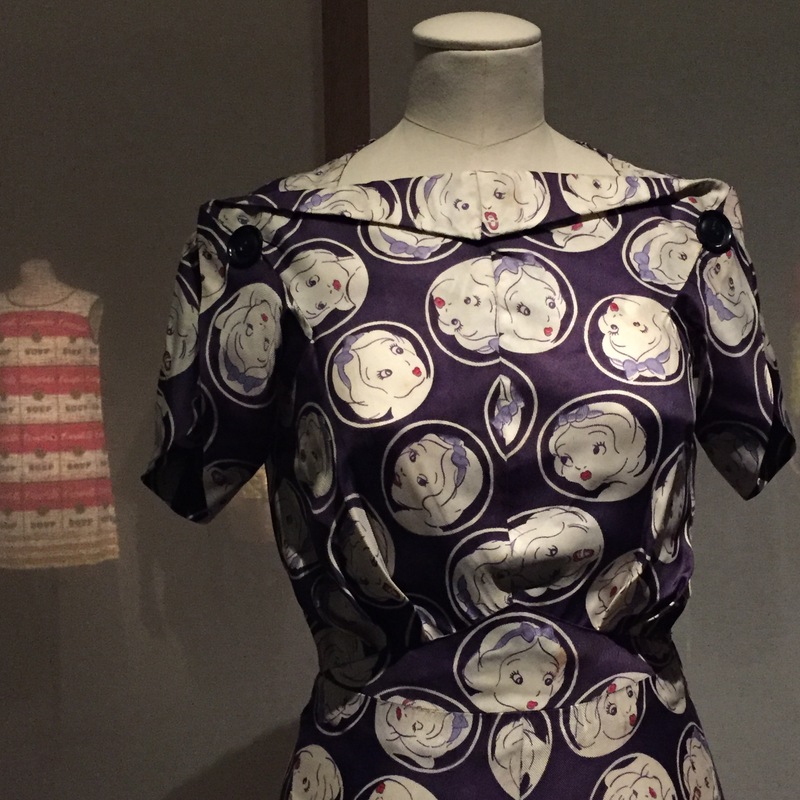 A total surprise in the show is Snow White dress by Charles James from 1938, made the year after the Disney film debuted. And so the show continues. 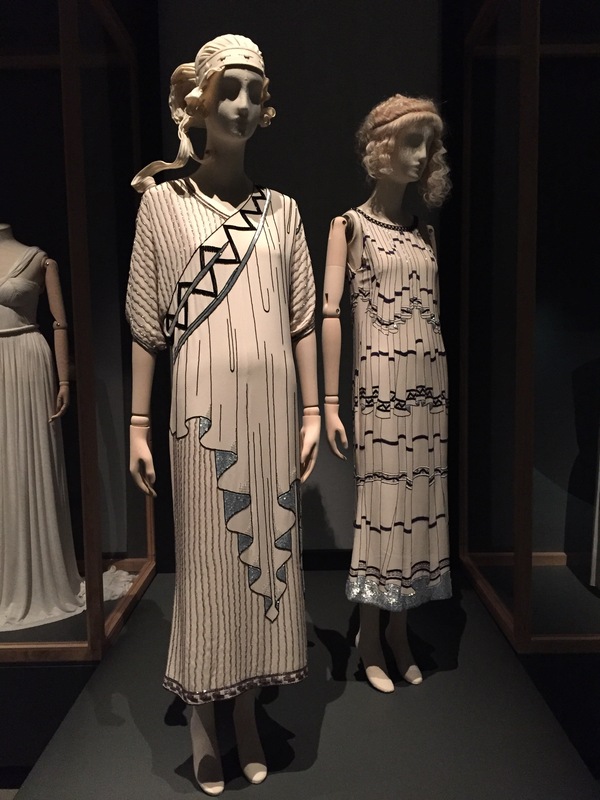 The message seems to be that although the work created within high fashion can be extraordinary, the societies that have demanded and consumed it are often reprehensible. Incredible work done within vulgar confines. There is barely any menswear in the show. It’s the norm. In most cases, “fashion” stands for womenswear. But in this instance, it is troubling. Towards the end is a garment of constriction. It made me realise: this isn’t a show that is just about The Vulgar. It is a show about the vulgarity to which women have been subjected, and by which they are then judged. 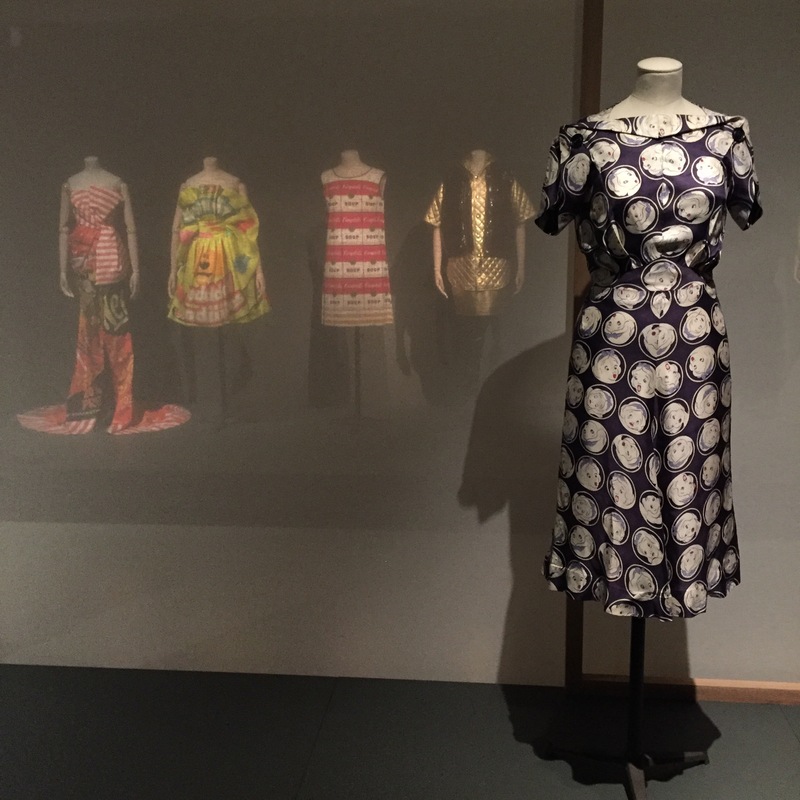 Throughout, Clark refers to other fashion exhibitions, wanting to make other points about the art of curating. 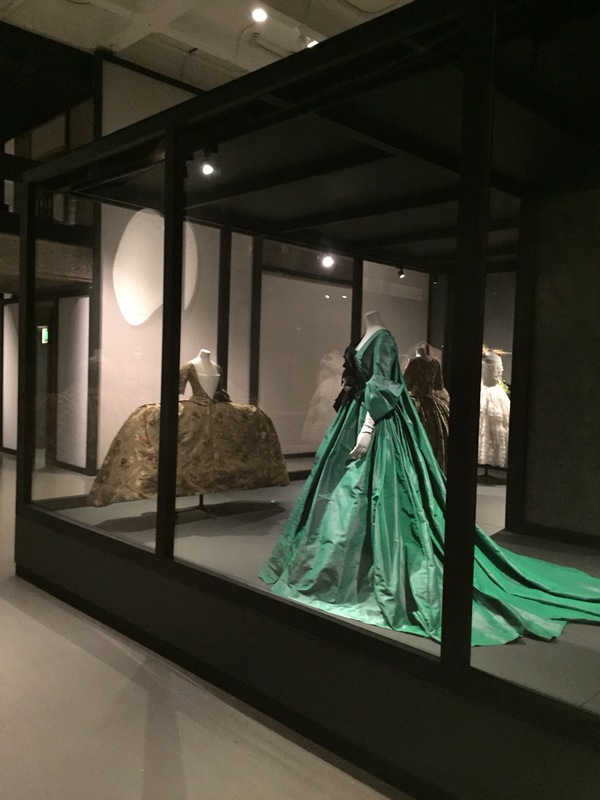 She talks in particular about The Ceaseless Century, a show at the Met in 1988 by Richard Martin about the enduring influence of the 18th century. By doing so, she seems to be asking: why are women still subjecting themselves to these themes and ideas of luxury which come from times that were oppressive and without emancipation? That seems to be the biggest vulgarity. ii) the 21st century empowerment of vulgarity, particularly in this age of the self-revealed body. iii) fashion that is not by white designers, and not from a white western viewpoint – the only black face I could see in the entire show is presented as a figure of ridicule: the US Vogue cover of Kanye West with Kim Kardashian. The only black designer I could see: Rihanna as co-designer for a pair of boots with Manolo Blahnik. 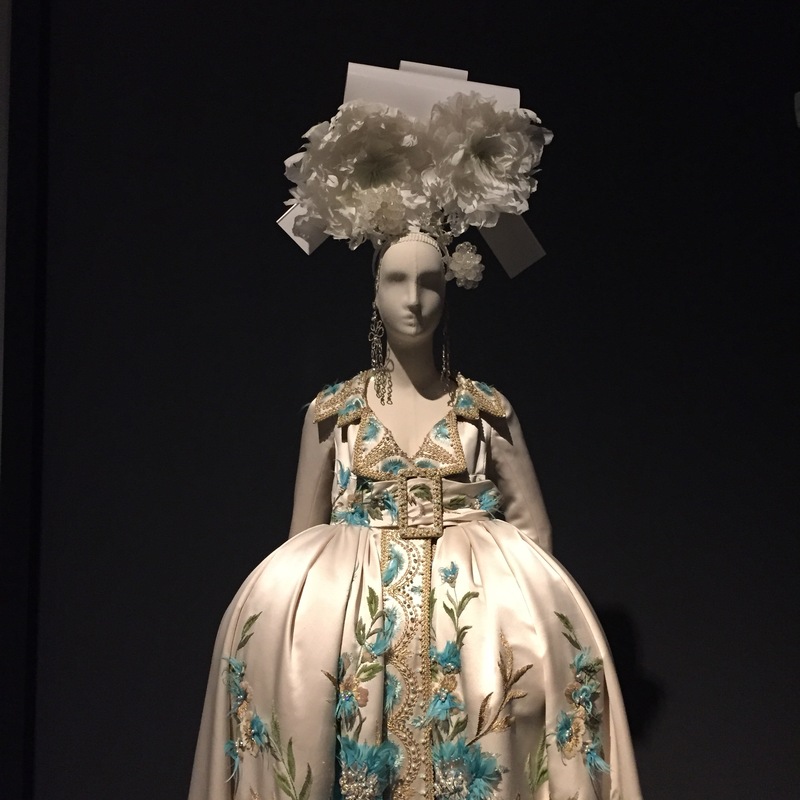 Maybe the whiteness of the exhibition is even more of an indictment of the vulgarity of what has passed for high fashion for the past however many centuries. It’s an excellent excellent show: go see, make sure you give yourself time to chew it all over.